Large (free) parking lot at the rear of the restaurant. Since 1978 La Chaumière has served old world French cuisine with a decidedly Canadian influence. Chef Bob Matthews and his team of culinary experts deliver nothing but the best, made with only top quality ingredients. Confit De Canard à La Roquette Et Pommes "Sarlat"
Consommé De Boeuf Et Venaison "Albion"
We have celebrated many special occasions at La Chaumiere and have never been disappointed. The service, the food and the ambience has always been exceptional. If one is looking for a true dining experience this is it. Always 5*! Never any deviance from excellence. Service is impeccable. We have eaten here several times.aFood service and ambiance is like you’re old friends.We love it!Yuo can’t get wrong choosing anything on the menu.Will come back soon! Was one of the best fine dining dinner we had in calagary. A real Fine dining experience and Xavier our server was amazing. Havent come across of such showmanship while serving for a long time. Really upset that they are shutting down the restaurant from 1st of June 2019. We will definitley visti back before that. Excellent meal as always. The food came to the table hot, it was beautifully presented and delicious. Our server Milan was exceptional. We were celebrating an anniversary and they made it special. traditional dinning service with comfortable ambience. Our server was amazing and the unbelievable! Had an fantastic experience . First time back in almost 5 years, still a classic, elegant restaurant with excellent food and service. As it was a quiet night, we were offered a tour of the wine cellar as well. Much enjoyed! 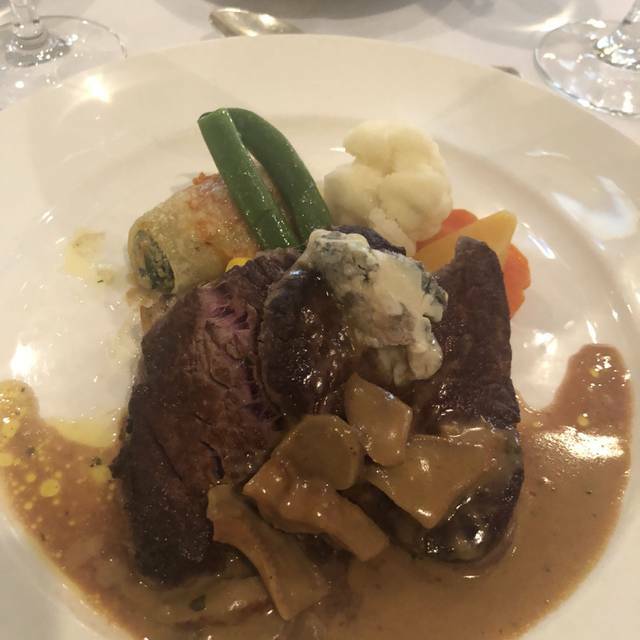 We had a reasonably sized budget to use on a work event for 5 young professional colleagues and spent hours trying to figure out what restaurant in Calgary would fit the bill for expense account/fancy/great food/dining experience. La Chaumiere did not disappoint. A fantastic wine list that runs the gamut, appetizers (or hors d'oeuvres, whatever) to please the whole table, entrees featuring a variety of delicious and well executed staples, and a lovely dessert. We were treated to an assortment of small bites courtesy of the chef, and the service was EXQUISITE. In a city where people are always lusting after new and exciting restaurants, it's great to know that the place that taught me which fork to use when I was in high school can still bring its A-game and provide a truly memorable experience. outstanding experience, exceptional service and food. This was the most wonderful evening we’ve had together in a long time. 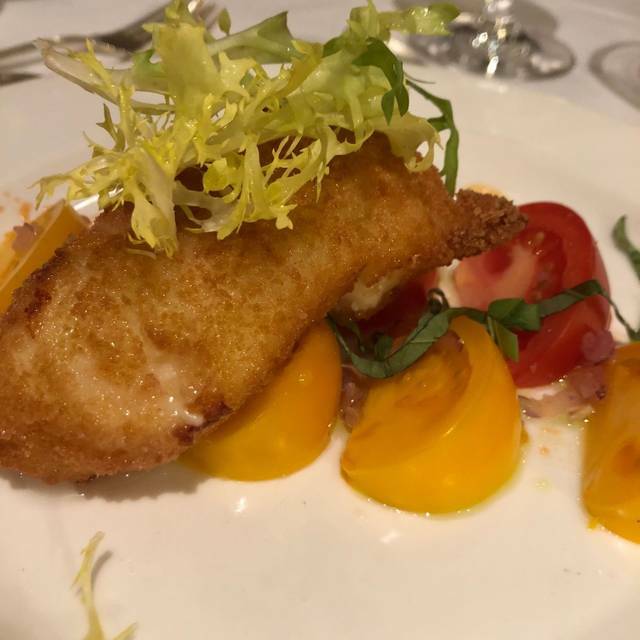 La Chaumiere is sophisticated and classy in a non-stuffy sort of way, the service is attentive, and the food is divine. Thank you so much for making our Valentines Day celebration so special and memorable! We had a fantastic evening! Everything was perfect! Food wonderful as well as the staff! really fine dining environment, food is good, service is excellent, but beware the portion is reasonable but not huge as it is to a French restaurant. Firstly. The fact that this restaurant has its own very large parking lot makes this place a very convenient choice. I think my only 2 complaints is that the lobster bisque soup was nothing great. I always feel restaurants should always ensure there are some sort of lobster chunks inside to show that it was actually made with lobster and make you feel like you are getting your moneys worth. Everything else we chose in the menus was extremely good. The only last complaint I have is that the atmosphere felt old school. You can tell they cater to rich older business persons (and the older generation in general). People coming after work from their high paying executive jobs. You can even over hear them talking business. It felt early 90s with decor. I suppose the positive with this is that you are dealing with a very mature setting. It is quite stiff inside with early 90s decor and table and chairs much like a nice hotel type banquet feel in a way. I'm not saying it needs to look modern at all either. If anything I would recommend it to look more classic with old world touches. But I am sure their clientele who they cater to do not care. I'm more wanting this place to feel more romantic and special for those of us who are taking our wives or gf out for an anniversary or birthday. I would habe rsther it been a bit more dim with nicer candle light rather than a simple twilight candle in a glass with the lights on a bit too bright. Aside from that eating at this french restaurant was still impressive when judging strictly on good food and service which makes up the majority of the ratings here. I still highly recommend this place to anyone. And perhaps in being to picky. It would be nice to see if anyone agrees with my perspective or not. I will most likely be back again. Still, after all these years, the best overall restaurant in Calgary. No one can touch it. A black sedan ride to Hy’s in the Core for drinks, then a black sedan ride to La Chaumiere for a magnificent dinner, “never been there before”. Then the ride home. Great evening and La Chaumiere was the climax. Terrific as usual. Great food, great wine, great service. La Chaumiere is hands (forks!) down our favourite restaurant in Calgary. For the most part because of the service and the staff followed by the delicious food. It is a place to relax and to be able to actually enjoy a conversation over your meal. And Joe just happens to make the best Sidecars! The experience is always memorable but, the food was particularly outstanding on our most recent visit. Fabulous New Year's Eve Dinner. Food and service was excellent. Very much enjoyed by my wife and me and another couple. Food and service were great, however the air con vent above the table blasted cold air down which ruined our experience. Always delicious and fabulous. Service is amazing and attentive. The whole dining experience should not be missed. Service was very good. Appetizers ( tuna tartar ) - excellent. Wild mushroom soup - excellent. Suggested wine -excellent and reasonably priced. Main courses were the weak point: duck was chewy , had too much fat and was not very tasty, overall. The deer steak was rubbery, chewy and not very tasty. Seabass was the best choice but still much less of a feast than the arctic char that I had at the La Chaumiere , 2 years ago. excellent food using quality ingredients. good interior design with nice flower arrangements and paintings. (and Christmas decoration) would like to come back in other seasons, too. Food was great. Service was terrible. The food was great, the service was great, the prices for food was a little high, very Comfortable. Nice experience, would go again. We celebrated my wife’s 70 birthday at La Chaumiere. Since we had celebrated a number of previous special occasions there, we knew what to expect...once again, we were not disappointed. Our friends, who had not been to La Chaumiere before, were as impressed and delighted as we have always been. Service, food, ambiance, all were excellent. It was a memorable evening for all four of us. An amazingly wonderful dining experience. Ambience, service, food and wine were absolutely outstanding. I took someone special for a romantic dinner. The service was fantastic as well as the food. I found the value at this restaurant was far better than comparable places in Calgary. We were so looking forward to returning to the restaurant after several years but we’re left disappointed. Our food came out barely warm and then took close to 20 minutes to get back into queue and a new order delivered. Better to wait than simply microwaving it though. Staff was apologetic and comp’d our meal but we went for a dining delight not free food. Restaurant was busy when we were there but that’s a booking/staffing issue not an excuse. Open Table asked if the reservation was for a special occasion, I responded 'birthday', but it appears this information was not passed on to the restaurant. The restaurant is one of the best kept secrets in town; the mark-ups on food & wine are both some of the lowest & they have serving staff who are professionals & take pride in their work. Some of them have been there for years.